Nestled at the confluence of the Komati and Crocodile Rivers, Komati River Chalets is perfectly placed for those wanting to explore the Kruger Park, Eastern South Africa, Mozambique and Swaziland. The lodge is situated on the southern border of the world renown Kruger National Park and is the ultimate nature lovers paradise.
" The ideal destination for the discerning traveler"
Parking next to your cottage. 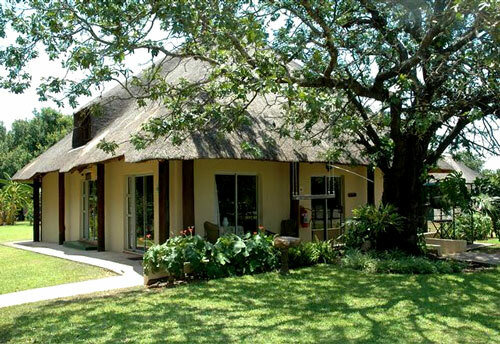 All accommodation is set on the floodplain of the Komati River no more than 50 meters from the waters edge. The riverfront is beautifully kept and guests are able to enjoy relaxing walks along the river and through the riverbank forests. Our double and twin chalets with private patio all have bathrooms en suite. Braai area in front of each chalet. Our family cottages have 2 separate bedrooms each with en suite bathroom. The bedrooms lead into a shared living room. 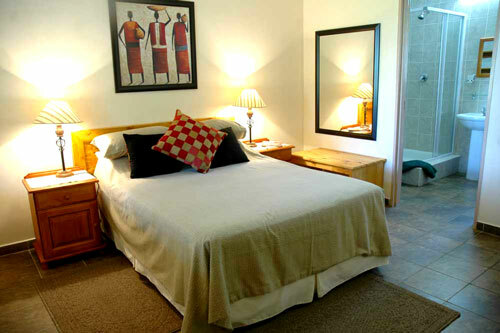 Komati River Chalets is ideally situated for the discerning travelers with the following attractions on your doorstep. Over 350 species of birds are found in the area of the Southern Kruger Park. 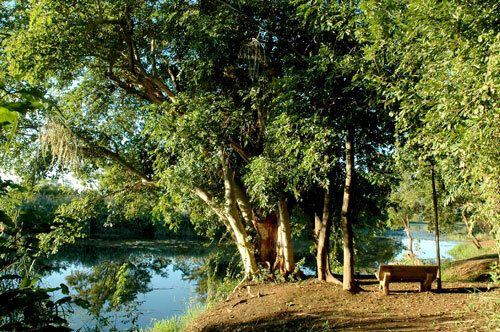 Komati River Chalets is home to all of these species with exceptional waterfowl bird watching. There are Hippopotamus and Crocodiles in the river right in front of your chalets for your viewing pleasure. Bushbuck, Duiker, Vervet Monkey's, Thick tailed Bush Babies, Banded Mongoose just to name a few. The Komati River is home to a diverse number of fish species. The Tiger Fish is the most famous of these species because of its reputation as the worlds finest - fighting freshwater game fish. Also found in the river are various Tilapia species, the Sharp tooth catfish, Carp, yellowfish and mudfish. Opt for either full or half day game drives in the world renown Kruger National Park, Southern Africa's premier big 5 National Park. 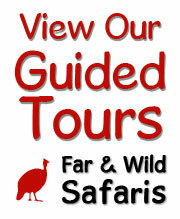 All day game drives are professionally guided in air-conditioned closed 4x4 vehicles. 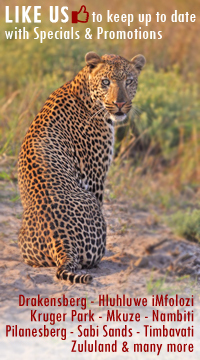 3 - 4 hour safari in Kruger National Park from late afternoon through till well after dark in open game viewing vehicles. Drive along the famous Marginal, the palm lined avenue along the beachfront. View innumerable sights of historical, cultural and scenic beauty, such as the 17th century Portuguese fort, the Catholic Cathedral, The train Station and the war museum. Shop at the central city markets for arts and crafts. Experience the bustle of this vibrant city. Experience Swazi culture at the Motsamu Cultural Village. Watch skilled locals create hand made candles at Swazi Candles where you may shop for the finished product. 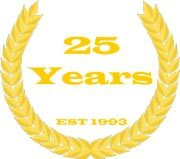 Opt for either half or full day professionally guided fishing safaris by motorized boat on the Komati River. The main species targeted is the mighty tiger fish, which is known for its supreme fighting spirit and is pound for pound regarded as the premier fighting game fish in the world. Open vehicle day game drives into the Kruger National Park.